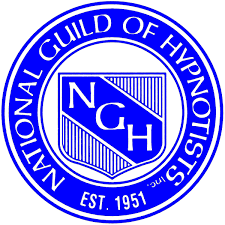 If you wish to participate in this experience of Hypnosis please prepare yourself by emptying your hands and putting your hands palms down on your lap. Now take in a breath, let it out and close your eyes. Now push down with your hands, pressing… Good now stop pressing – release and relax, 1, 2, 3. Now send that feeling of relaxation through your entire body, from your hands and arms to your chest, from the top of your head to the bottom of your feet, 1, 2, 3. Now I’d like to have you lift both hands up just a bit, an inch or two and just drop them down on your lap, plop! and go deeper, deeper, relaxed. Once again – push down with both hands, pressing… Good, stop pressing, release and relax 1, 2, 3. Send that feeling of relaxation through your entire body, 1, 2, 3. And, now once again lift your hands up a couple of inches and drop them back down, plop! And go deeper, go much deeper. And now, gently rock your head back and forth in a relaxing and comfortable way and relax your neck, relax your face and jaw. Now stop rocking your head and relax further. One more time send that feeling of relaxation all the way down to your feet, 1, 2, 3. In a moment I’m going to have you repeat the words “deeper relaxed” silently within yourself so that no one else will hear you. When you do this, say them to yourself softly and slowly, putting about half the amount of effort into each repetition. As you are doing this, I’ll say the words “relaxing more and more, fading away to nothing, nothing, nothing” just a few times. After a few repetitions you can relax mentally and maybe even relax them out of your mind. Good, now as I count from one down to five let it be as if you could double this mental and physical relaxation. Four, deeper & deeper relaxed, as if all you care about now is how much deeper you can go.